In this webinar, we’ll walk you through 4 advanced troubleshooting use cases that simplify management for both the Linux® expert and the beginner. The Red Hat® Enterprise Linux cockpit administrator console is an easy-to-use web interface for ongoing management of storage, networking, containers, services, and more. 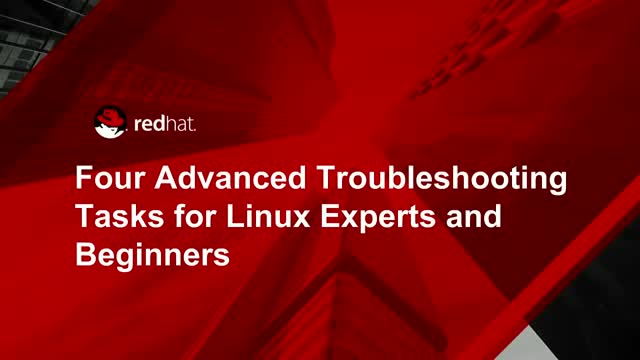 No matter what stage you're in as a Linux user, join this webcast for an overview of how to take your troubleshooting to the next level.